Twitter is giving its trolls a facelift. 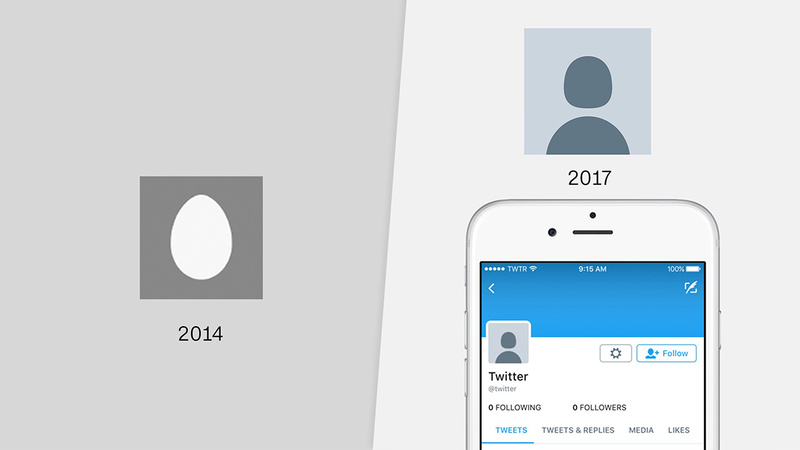 Twitter is ditching the iconic egg avatar that appears as a default profile picture in favor of a more generic image of a dark gray disembodied head on a light gray background. Or it could be an uneven power outlet. We're really not sure, to be honest. In a blog post published Friday, Twitter said the redesign is intended to "encourage" new and existing users to upload profile pictures rather than stick with the quirky egg. But the company also notes the egg has become associated with "negative behavior" from trolls who create accounts simply to harass other users. The redesign led to more than a few jokes on Twitter (where else?) that the company is painting over a symbol of harassment on the platform rather than actually tackling the harassment itself. In fact, Twitter has introduced new measures to crack down on harassment in recent months, but the problem persists. While the default avatar change may be superficial, it does highlight yet another example of Twitter undoing its signature design features. Twitter has begun chipping away at its 140 character limit, ditched favorites for likes and moved away from a reverse chronological timeline to one that relies partly on an algorithm. With its user numbers stalled around 300 million and its stock in the gutter, Twitter is fighting to be more intuitive and approachable for a mainstream audience. One day, however, Twitter may look in the mirror and not even recognize its own avatar.